You did it! You finally started your own blog and you’re ready to make this thing work. As much as I would like to pat you on the back to congratulate you, things have only just begun. Now that you’ve started, have you really got what it takes to make this blogging thing work for you? I get a lot of emails from new folks who have just started blogging, and one of the questions I get asked a lot is this. Continuity and consistency don’t always lead to success, but it plays an important roll in helping you reach your blogging goals. Whilst there’s no real secret recipe to consistent blogging, the key is actually YOU. Only you can motivate yourself, remain consistent, become inspired, be willing to learn new things and dream BIG in order to succeed. Sure you can read all the inspiring success stories you want. You can learn everything there is to know about blogging, but only you can make the right moves. Action speaks louder than words, whether it’s spoken or written. If you answered Yes, good for you. But only time will tell. In the meantime though, I want to share with you my personal guide to surviving your first month of blogging, it’s just 6 simple steps, but very critical steps in my opinion. I will assume that you are new and fresh to blogging. So let’s get started. Blogging is a lifetime commitment, well at least until the day you decide to quit. I hope that day never comes for you. What I like to do is always think baby steps, because looking at the big picture will only daunt and confuse you even more. It’s about taking baby steps to your ultimate blogging goal, whatever that might be. You’ve already taken the first step of making a start. 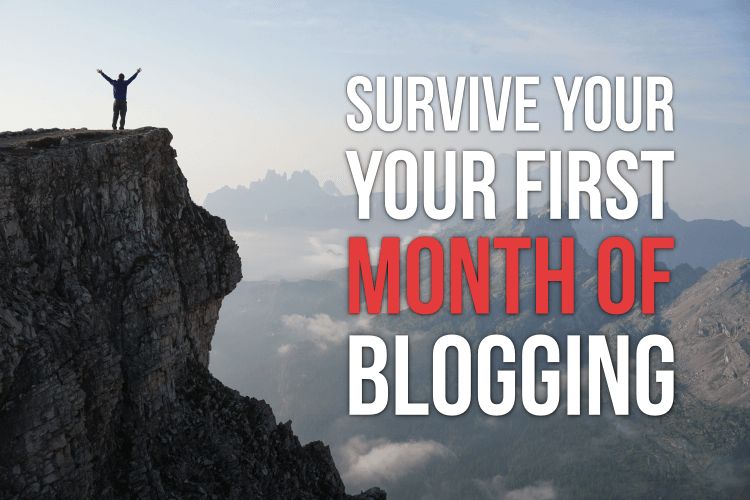 Now here’s how to survive the first month of your blogging journey, without feeling the need to throw in the towel. If each time you sit in front of your computer to do blogging stuff and think – “Now what should I do first?”. You’re going to struggle big time. An “action plan” written out in front of you is what you need to start with. An action plan will help you stay focus and on course to developing the right persona and attitude for successful blogging. Here’s what you should include in your first month of blogging action plan. What topics or subjects do you want to write about in your first month? How often do you want to write content for your blog? How are you going to promote your content to attract readers in your first month? What time do you want to put aside for carrying out other blogging duties? What time do you want to put aside for learning new things? What goals do you want to reach in your first month of blogging? To help you with all of these things, I recommend you check out my Ultimate Blog Planner workbook here. There’s an abundance of useful online services, apps, tools, various technologies and resources you can use to help you become smarter at blogging. Here are a few I would personally recommend you start with. Brainstorming topic ideas and headlines: The way to discover topics or subjects to write about for your blog is to brainstorm some potential ideas. This amazing post on JeffBullas.com will share with you some killer strategies for brainstorming post ideas. In addition, I recommend checking out these powerful headline tools to help you get creative with your blog post headline titles. Scheduling your content publication: A great tool to help you organize and schedule your blog content writing and posting is the Editorial Calendar plugin here. Promoting your blog posts: You can spend all your time crafting the perfect blog post, but if no one is coming to read it then what’s the point? To save you time and energy learning new ways to promote your blog content, download my free printable “7 Day Blog Post-Promotion Checklist” here. An even better cheat sheet comes with my blog traffic strategy book here. Managing your time: Finding time to write is one thing, finding time to do other blogging duties is another: You’ve got to find time to do things like blog commenting, marketing and promotion, blog maintenance etc. On top of that, you’ve also got to respond to emails, put time aside to learn new things and all the rest of it. It’s all about being more organized, setting specific goals and prioritizing your tasks. To help you do just that, check out Jeni Elliott’s post here, she shares 12 valuable time management tips for bloggers. The biggest productivity killer in blogging is procrastination. We’ve all done it. I’ve personally struggled with procrastination in the past. I still do to a certain degree today. We’re only humans and these days, it’s hard NOT to be distracted. Especially as bloggers where we have the technology and the internet to distract us. It’s so easy to stop what you’re doing to go and watch some cool videos on YouTube. Or spend 10 minutes or so scrolling through the news feed in Facebook. The bottom line is that doing those none-productive things will stop you from making progress and you know it. Procrastination is the thief of time, your precious time. You’ll get bored quickly and won’t even last a week let alone a month in your blogging journey if you start with this. Turn your to-do list into a success list. Take regular breaks in between blog writing or doing blogging duties. Change your environment from time to time. I love hanging out at my local coffee-shop or library sometimes to write blog posts. Turn off the tech stuff, i.e. mobile phone, internet, TV, radio, washing machine or whatever else is going on in the background. Schedule your time to write blog posts, or to work on your blog when you’re less likely to be distracted by other people. 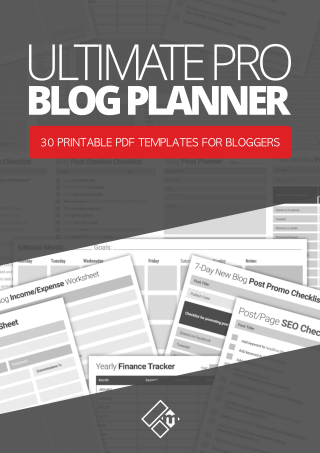 Once again, I recommend you check out my Ultimate Blog Planner workbook to help you stay focused on blogging. One thing that will motivate you like nothing else, is learning something that you didn’t know before. Or learning a new skill that you didn’t have before. Blogging is a lifetime education, I must have said that a million times already I know. So take the time to discover and learn something new each day. It doesn’t have to be something HUGE that will use up all the resources in your brain, just something small that will help you in the future with your blogging. Check out this list of books I recommend all bloggers should read. Whilst I don’t recommend you spend hours staring at your stats every single week, it is important to keep tabs on your progress now and again. Once a month, take a few hours out to check traffic stats, income, number of subscribers and make notes of these. Monitor your progress so that you can fine-tune your strategies here and there in the future. If you’re checking stats and watching to see who is reading your content too frequently, you’re wasting valuable time. The result of consistently checking stats and checking up on your progress can be negative, especially when you’re just starting out. You shouldn’t expect to be seeing huge changes in your stats, so keep it to checking them once per month if you can for now. Blogging is about connecting and interacting with like-minded people, sharing ideas, helping to promote each other’s content and building your community as well as others. Take every opportunity to respond to comments on your blog, leave comments, reach out to other bloggers, mention bloggers and their work in your own posts, help folks in your industry. The rewards can be plentiful I can tell you. Not only that but the feeling of being connected with other bloggers and influencers in your niche will make you feel part of a larger picture or network. If you want to appreciate the true value getting connected with people in your niche, read this post by my good friend Ryan Biddulph. Ryan also has a bunch of ebooks on Amazon I would recommend reading. Click here to check them out. Now, this is something not enough bloggers are doing. You’ve got to know when to stop, take a step back and do something fun to reward yourself. It’s all well and good hacking away at your blog day-and-night like a mad person. Sure it shows your commitment and everything else to want to succeed, but don’t forget to reward the person who’s doing all of the hard work, that’s YOU! There’s no “one strategy fits all” on how you should approach your first month of blogging. Each of us is very different, and we all do things differently. Some of us also have a lot more time to devote to blogging. Whilst some of us have other commitments going on in our lives. If you can take just a few of the steps away from what I’ve given you above, you’ll go beyond surviving your first month of blogging. 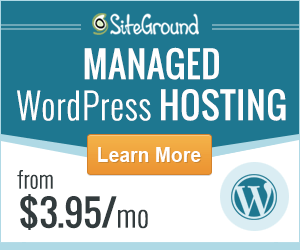 You’ll begin to build a solid foundation on which to build a powerful blog. A blog that will attract lots of readers and ultimately help you to find success. I wish you the very best of luck – Fabrizio. If you have something valuable to share with me, please leave me a comment below as always. If you’re already an established blogger, why not share the things you did to get through YOUR first month of blogging. Fabrizio, thanks for the shout out! So funny because I had this article open to read, and as I wrapped up commenting on Don Purdum’s post I saw you comment there. Power of being all over the place 😉 Seriously though, that’s it. That’s how to survive your first month. Meet a ton of people. Comment on their blogs. Promote them. Help them. They will support you, help you and promote you. As for your learning tip I doubled down in this area recently. I read about blogging for 20 minutes or more daily. Every day. I learn new stuff and pass it on to my audience. Goodness I’d have cut my learning curve by years, by following your advice. Fab post, thanks bro! Hi Ryan mate, you’re most welcome buddy. That post was spot on true to the heart man. 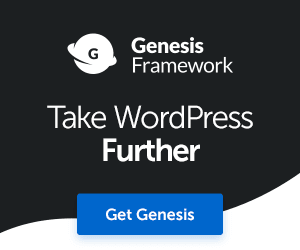 You’re are living proof that being everywhere helps to make those all important connections, a vital ingredient needed for attaining blogging success. I love learning too mate, reading blogging and business eBooks like they’re going out of fashion lol. Great to see you here dude, I’m just starting to make an effort to get around more with commenting on my favourite blogs, summer holidays has put a lot of things on hold so doing a lot of catching up. All the best my friend – Fabrizio. Hi Fabrizio, nice post. In fact a very informative post. I personally think that the overwhelming information that is available online today is the biggest reason for a lot of people abandoning blogging by the first month. It is not abnormal to feel overburdened with all of the information you find on different blogs. Consequently all the plans that you started off with goes down the drain and you are doing all sort of things that your need not even do. It is here that selective reading becomes important and building a customized plan for yourself becomes even more important. 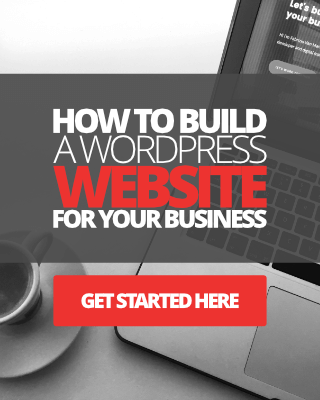 You have put together some nice steps that are easy to follow and integrate into the plan that a beginner at blogging would want to build for themselves. Great comment my friend. I have to agree with you completely. When I think back now when I started I was definitely overwhelmed by just how much information there was on blogging. What made it worst was every other blog I visited or read, said something differently about the same topic or subject. I think it’s important when starting out for the first time, is to stick to a simple game plan and have some simple achievable goals set somewhere. Avoiding the noise will be a challenge, because new bloggers have to educate themselves and learn new skills. Reading other blogs is great for doing just that. But for the first month I would say new bloggers should just stick to basic principles of blogging, then after maybe apply a few new techniques and add them to the mix. Thanks stopping by Dilip, I appreciate your time and comment. Hey Fabrizio, great write up! Recently I have started blogging and now I got some great tips on how to survive and keep blogging. That’s great news Chris, well done and the best of luck!